Steampunk has captured the imagination of thousands who are searching for a unique style symbolic of a richly inspired, post-apocalyptic world drawn from the heavy machinery of the Victorian age. 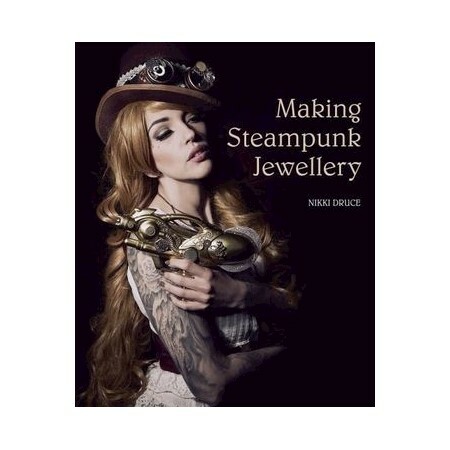 With clear instruction, step-by-step sequences, and over twenty-five projects, this practical book shows you how to access that world and make unique jewellery and accessories that will complete an outfit and transport you to another era, full of excitement, potential and extravagance. Nikki Druce is the owner of Devine Delinquents, a company that specializes in handmade jewellery and accessories. Self-taught, Nikki began making jewellery after becoming frustrated at not finding pieces to cater to her own style on the high street. Her work has featured in magazines, blogs, television and catwalks, and has been exhibited at the Tate Modern.